We are excited for our students to attend the Mayo Boys’ Varsity Basketball game on Friday, March 3rd starting at 7:30pm at Mayo High School. 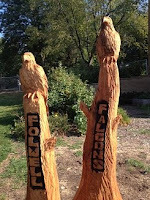 All Folwell elementary students attending that game will get in FREE if they wear a Folwell shirt. A paying adult needs to attend the game with the student, but multiple students can attend with one adult. The Mayo Boys' Varsity Basketball Players will be here on Friday during school, too!